The IUPUI campus is home to a wide range of event spaces which include world-class athletic facilities, state of the art classrooms and auditoriums, beautiful outdoor spaces, many with views of Downtown Indianapolis. Here you will find some general information about the majority of space options available for your event. We encourage you to peruse the information. Please contact us to further discuss your event details and space availability. The IUPUI campus is home to a wide range of facilities which include world-class athletic facilities, state of the art classrooms and auditoriums, beautiful outdoor spaces, many with views of downtown Indianapolis, and the IUPUI Campus Center. Here you will find some general information about the options available. We encourage you to peruse the information here and contact the persons listed for further information and availability. 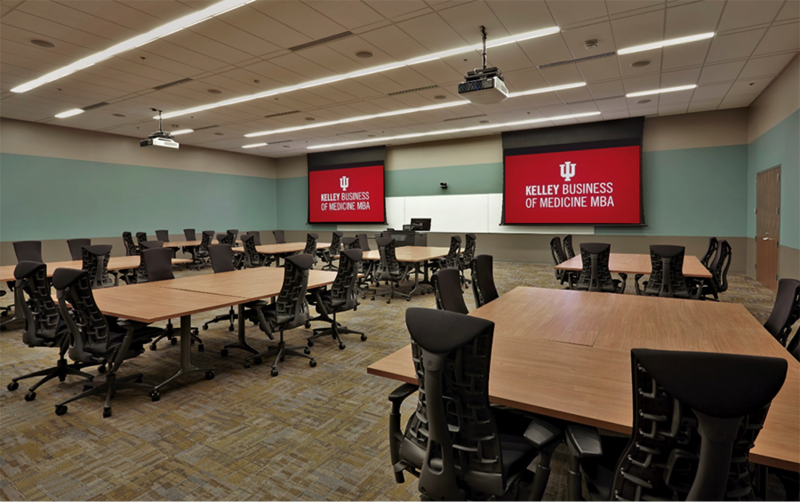 IUPUI can accommodate small and large meetings with settings that include meeting rooms, classrooms and auditoriums. A list of the buildings with rooms available for use is available below. The campus map and building directory can also be used to identify the locations and exteriors of these buildings. 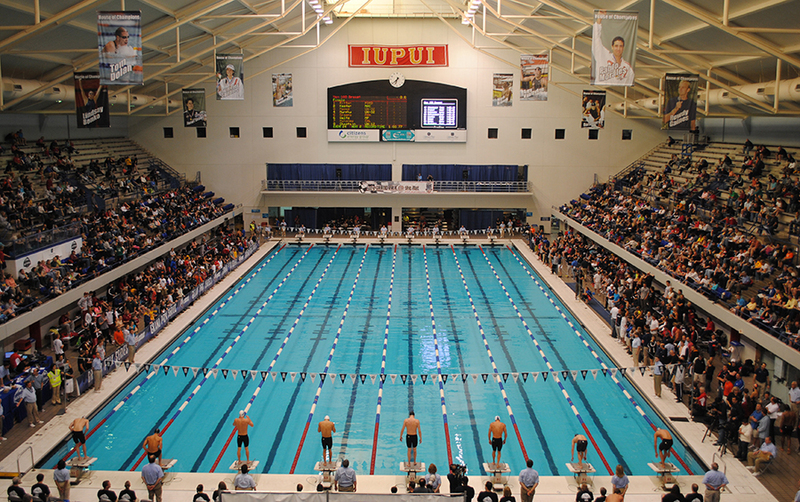 IUPUI has several world-class athletic facilities on campus that are available for event rental. Along with the Department of Physical Education's Intramural Recreational Fields, the Indiana University Natatorium and the Michael A. Carroll Track and Soccer Stadium allow IUPUI to provide an unequaled balance of Olympic caliber athletic facilities and services. Each facility has highly technical equipment and features to provide athletes with the optimum athletic competition sites in the nation and help to make Indianapolis the "Amateur Sports Capital of the World". IUPUI's 510 acre campus has a number of beautiful greenspaces which are available to host outdoor events. Some feature distinctive features such as fountains, public art or views of downtown Indianapolis. The IUPUI Outdoor Space Map and list of contact personnel will assist in your choosing a space. If you are having a large event which may impact area traffic, please complete the City of Indianapolis' One Stop Shop form for events. The website is: http://www6.indygov.org/controller/sepermits/. Breezeways are large, outdoor spaces located under the walkways between buildings. They can accommodate outdoor events where it would be preferable to be on a concrete surface and protected from rain by the overhead walkway. One breezeway is located on the south end of the Business/SPEA building and the other is located on the north end of the Education/Social Work building. IUPUI's food options are ever changing and evolving. For a list of the food service available on campus, information about meal plans and catering options, please visit dineoncampus.com/iupui. IUPUI Food Services Catering by Chartwells is the exclusive caterer of IUPUI. Please visit the IUPUI Catering website or call 317-274-7566 to speak to the catering director about your event.